Polthaus Workshop: Check Out My Package! I love getting mail (except junk mail...or ransom notes), especially heavy, brown cardboard boxes with awesome tools inside, it's as if they percolate a beautiful, subtle, japanned colored aura that whispers "exciting contents-open me and get back to work!" This particular cardboard ark contained none other than my adjustable mouth low angle block plane and a split nut screwdriver. It doesn't sound like much, but both open up a world of creative opportunities for me. 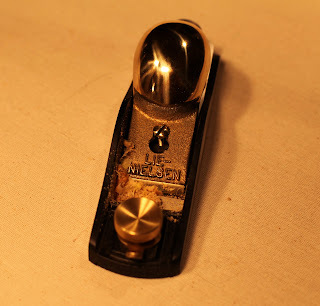 Until now I have been using a cheap-o Stanley block plane that I tuned up. It works great when it is sharp. 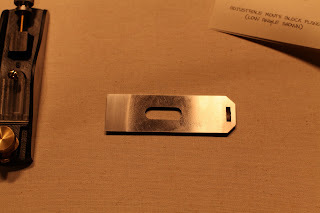 Unfortunately, it stays sharp for all of about three passes no matter what angle I put on the iron, the adjuster is constantly slipping, and the casting is poor. I have a ton of time sunk into it already, so if I plan on spending any more time with it I'd need to take it out to dinner first. I also have an antique Stanley #15 that I have yet to have time to clean, but this Lie Nielsen has a sweet low angle frog with a bunch of blade options, not to mention a relatively thick blade. Plus, lets face it, it's a beauty of a plane that one day my daughter may use to actually make something. 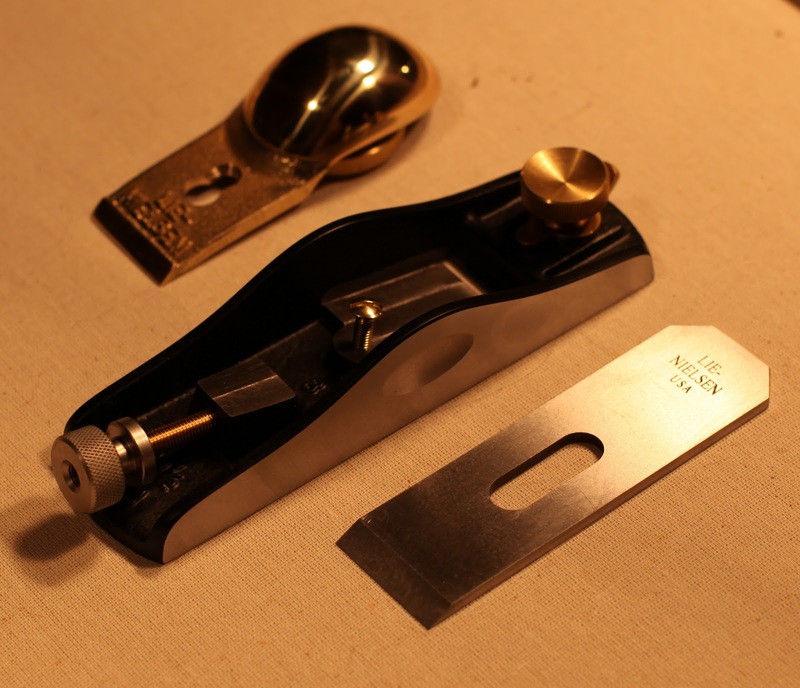 A small block plane (block planes being the "bevel up" style) is a great addition to a carpentry tool set in that it is very portable, versatile and easy to use. I also have a small nylon "holster" for my tool belt that allows me to use this thing everywhere without having to cram it in my belt with a bunch of other metal tools. An adjustable mouth block plane, especially a small one, is useful across the spectrum of carpentry from rough framing to fine furniture. 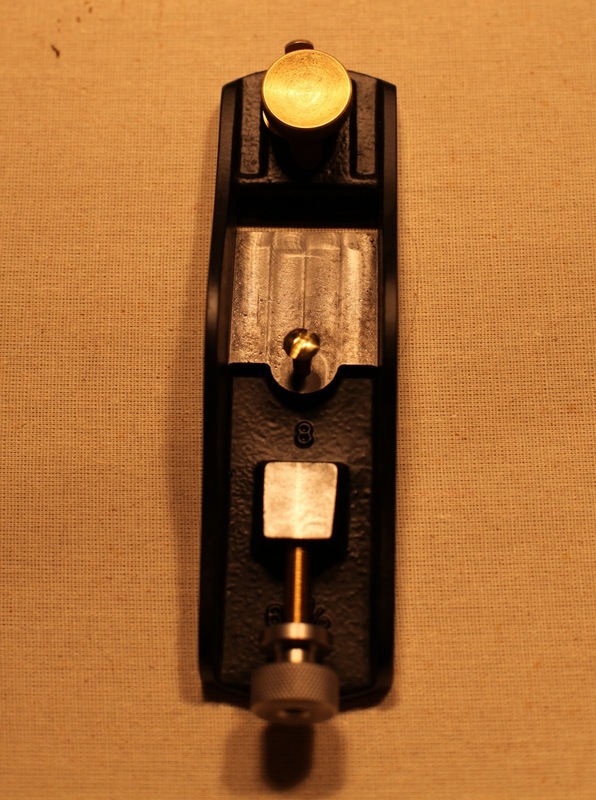 I am going to do a video on fettling (fine tuning) hand planes. In that video, I plan to show comparisons on fit and finish between a high end plane like this and one and some less expensive planes and how to get those planes to perform like a high end one. Needless to say, this little guy needed almost no extra attention. 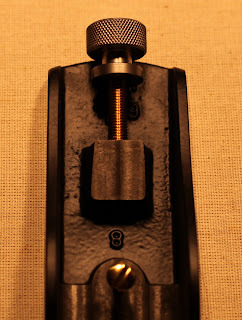 The photos below are of the split nut driver. Split nuts are found commonly on older handsaws and can be seen on many higher end saws today. 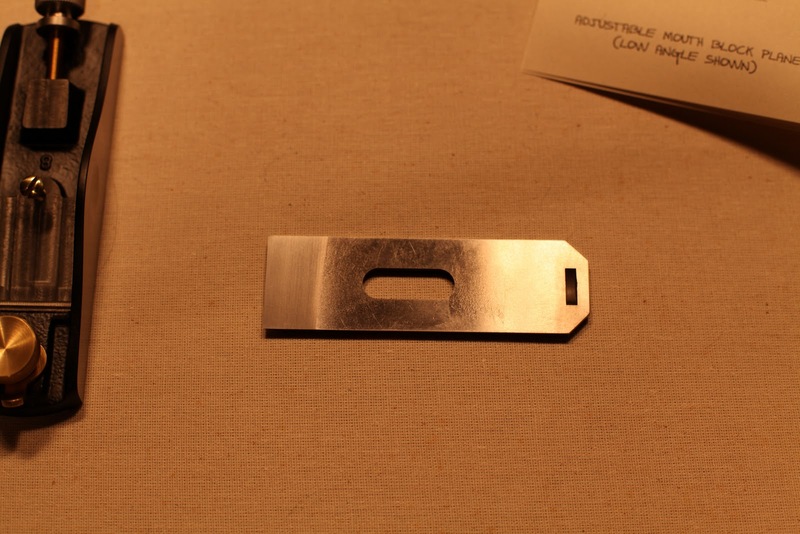 They are typically used to hold the handle onto the saw plate. 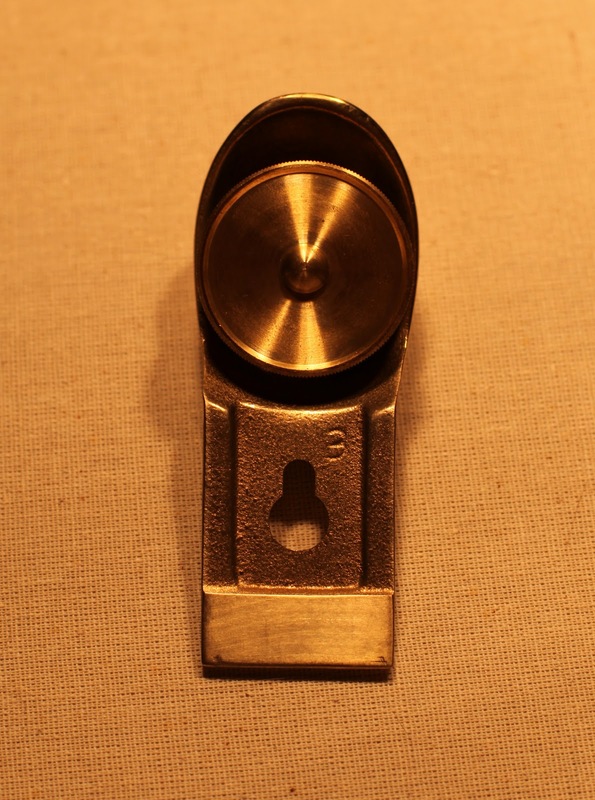 I am excited for the arrival of this little gem as now I can disassemble several old (pre 1900s) Disston handsaws for cleaning and restoration without damaging the delicate brass split nuts. I suppose I could have made one, but this one is so nice and it just appeared in the mail like magic. This tool is as finely crafted as their planes are, and is almost as nice to look at as I am (booyah!). 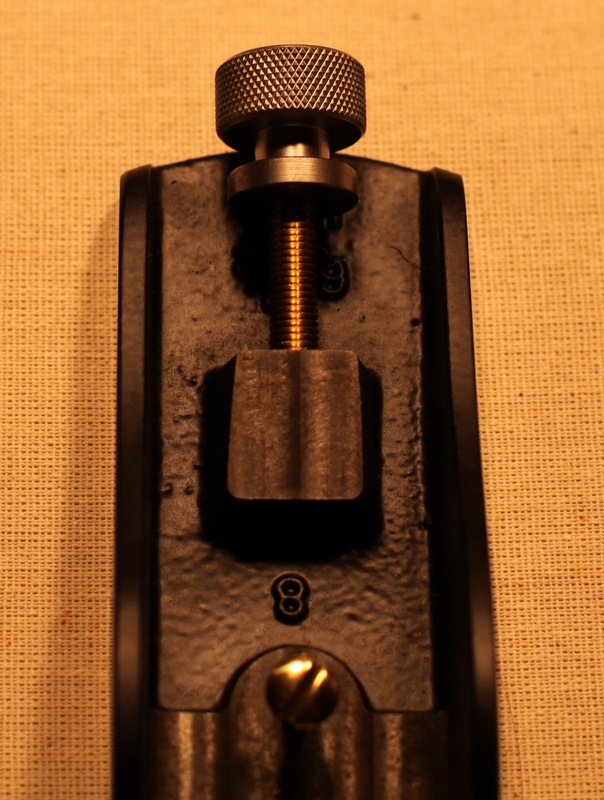 The brass ferrule is numbered for the type of screwdriver, LN has 8 numbered drivers, the business end is machined similar to gunsmith's drivers so that it fits tightly into the slot. The handle is a great piece of curly maple finished with care. It is a simple tool with a very specific purpose but taking apart a saw without one can end in a massacre. Whew, I made it through this whole article without one nut joke, I'm sweating from the effort.